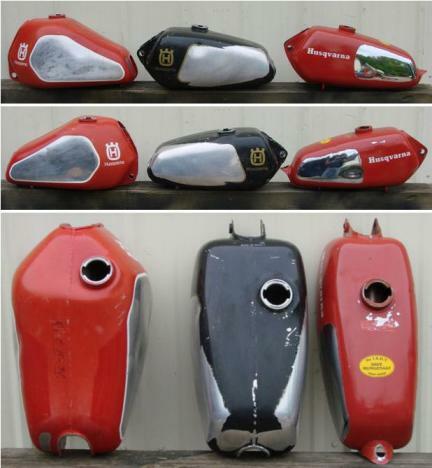 - All Used tanks are guaranteed not to leak and are rust free inside. - Price does NOT include gas cap, fuel shut-off valve, or mounting hardware. - If you're not happy then returns/exchanges are NO problem! Dent removal, Painting, Decals, and more! and our tank decals are an exact reproduction of the original decals. All tanks are clear coated for extra protection. Submit the Vintage Parts Order Form for any questions on tank repair. Still in the original box!! Vintage Tip: All aluminum tanks come with a brushed aluminum look on the sides. 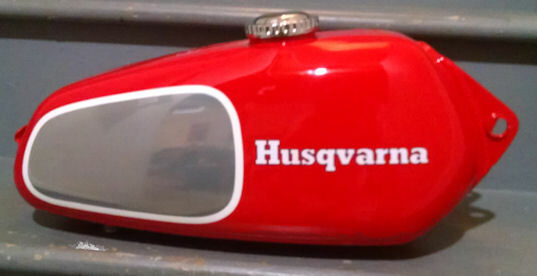 Whenever you see a vintage Husky tank with a mirror finish on the sides, it is either a steel tank with polished chrome or it's an aluminum tank that has been polished to a mirror finish. 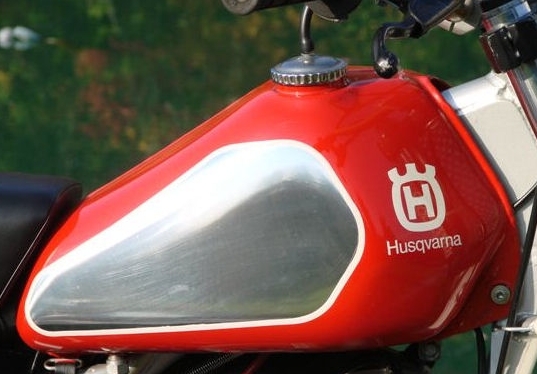 If it's an aluminum tank with a mirror finish then it has been over-restored and is NOT original. Be careful about this if you're restoring your bike back to original.